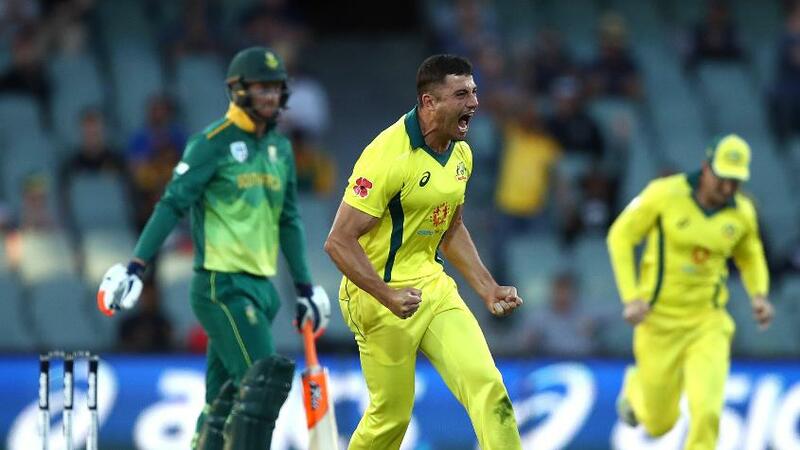 Marcus Stoinis' 3/35 and good support by the trinity of Mitchell Starc, Josh Hazlewood and Pat Cummins helped Australia beat South Africa by seven runs in the second one-day international at the Adelaide Oval to level the three-match series 1-1. With 55 runs needed off the last 10 overs and four wickets in hand in pursuit of Australia's 231, South Africa had a set David Miller (51), who needed some company from the tail to put South Africa past the line but couldn't quite get it. Dale Steyn, who had done well with the ball with his 2/31 earlier in the match, was bowled by Stoinis for three. With the required rate climbing six runs per over and only bowler's left for company, Miller himself perished in the 44th over, trapped by Stoinis, who had a good day in the field, returning 3/35 from 10 overs. At 187/8, South Africa's score matched that of Australia's at the fall of the eighth wicket, but the last two wickets proved out to be difference between the two sides eventually as South Africa failed to match the 44 runs that the Australian final two wickets had added and were restricted to 224/9, thereby ending Australia's seven-match losing streak in ODIs. Things got interesting towards the end when Lungi Ngidi smashed the last ball of the 49th over for six to make it 20 to get off the last over. 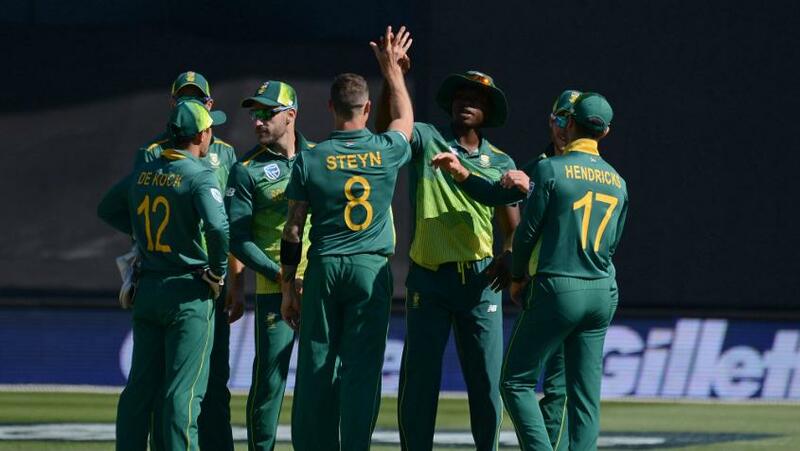 Imran Tahir then hit the first ball of the 50th for four to give South Africa some hope but Glenn Maxwell held his nerves by giving away just eight off the next five balls. Starc and Hazlewood picked up two wickets each while Pat Cummins returned with one wicket. For South Africa, Kagiso Rabada picked up four wickets, Dwayne Pretorius got three and Ngidi got one wicket. Earlier, South Africa won the toss and chose to field first, and they were awarded for their decision straight away as for the second time in the series Australia's openers failed to give the team a good start. Ngidi trapped Travis Head lbw for eight to draw first blood. Shaun Marsh, brought into the XI for the second game after missing out on the first due to injury, then got together with captain Aaron Finch to add 54 runs for the second wicket. 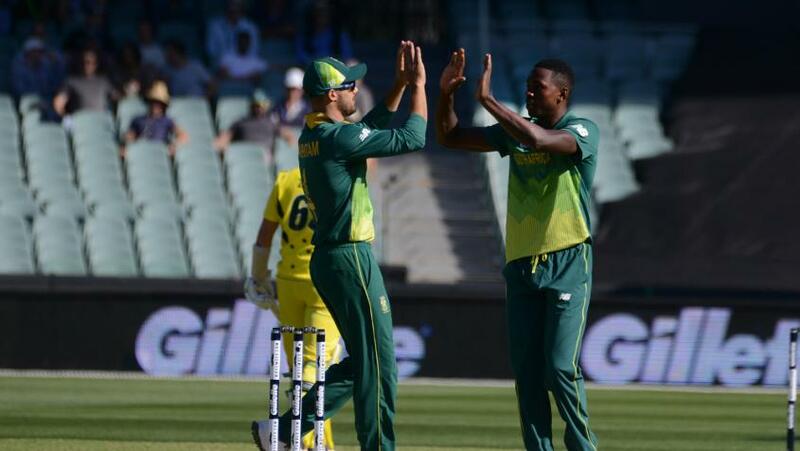 But just when it looked like the two experienced Australians would put on a big partnership, Rabada brought South Africa back in the game by getting Marsh caught behind for 22. Finch then found support in Chris Lynn, who brisked to a run-a-ball 44 with three fours and two sixes, including an array of 6, 4, 4, 4 against Rabada, but fell immediately thereafter as a short-pitched ball from the fast bowler took Lynn's gloves before landing in the hands of the wicket-keeper Quinton de Kock. However, Australia had reached a stable position by then, at 133/4 in the 27th over, with Finch also dismissed on 41. But that start was laid to waste to some extent by the middle order as the hosts lost the next four wickets for just 54 runs as Maxwell (15), Stoinis (2), Cummins (3) and Starc (6) all departed cheaply. Pretorius, brought in for Andile Phehlukwayo, picked up the first two of those four while Steyn returned after a burst with the new ball to scalp Cummins and Starc. At 187/8 it looked like Australia would struggle to get to 200 but a late resistance from the tail, led by Adam Zampa (22) and helped by Hazlewood (10), along with Alex Carey's measured 47 meant that the last two wickets added 44 runs to take Australia to 231. In reply, South Africa lost de Kock as Starc struck early for Australia in the fifth over, as a flick from the left-hander landed in the hands of Zampa at fine leg. Reeza Hendricks and Aiden Markram (19) then carried out good recovery work, adding 28 runs for the second wicket. Markram took a special liking to Starc, whom he hit for a six over wide long-on, coming down the track and flicking a good length delivery. But Australia struck back through some excellent work in the outfield as a good pick-up and throw from short mid-wicket by Stoinis found Markram short at the striker's end to put to bed a good-looking partnership. Captain Faf du Plessis walked in next but had to see the back of Hendricks soon as a perfectly-pitched off-stump ball from Hazlewood took Hendricks' outside edge and was caught by Carey behind the stumps. At 48/3 South Africa looked to be in trouble and when Stoinis got Heinrich Klaasen caught by Lynn at short mid-wicket, the visitors slipped further into trouble at 68/4. Miller joined his captain and rescued South Africa by adding 74 runs for the fifth wicket. Both experienced batsmen exercised caution early on rotated strike frequently, thereby not allowing any pressure to build. 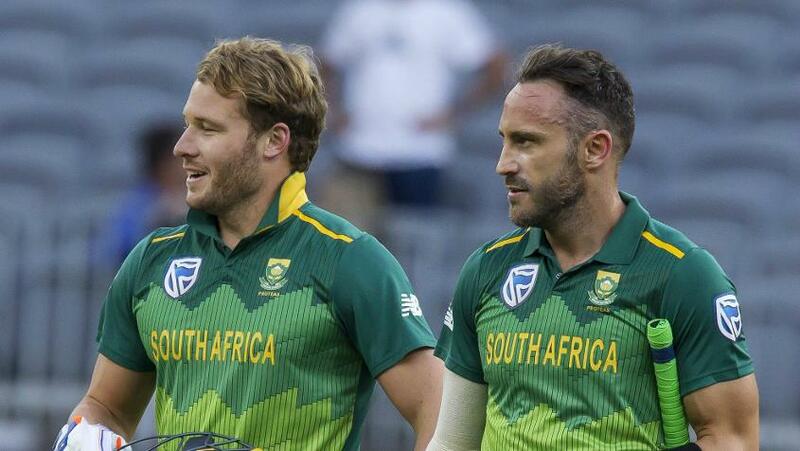 Du Plessis then took on the bowling, driving Starc through the covers and then pulling the fast bowler fiercely through mid-wicket for two boundaries in an over. Zampa's short deliveries were dismissed with disdain by du Plessis to bring up South Africa's 100 as were Stoinis' occasional short-and-wide balls that were cut over point by Miller. When the left-hander drove Hazlewood through the covers and brought the target down to 90 runs from 21 overs, the writing looked to be on the walls. But Cummins opened the door for Australia once again when he bowled one on the fourth-fifth stump line and du Plessis chopped it on to his stumps. Thereafter began another recovery process for South Africa who were only one wicket away from exposing their tail to the Australian pace attack and Miller and Pretorius played out a few deliveries initially as there was a cushion available to them, chasing only 232 before Miller stepped out to hit Stoinis for a six to take South Africa past 150. 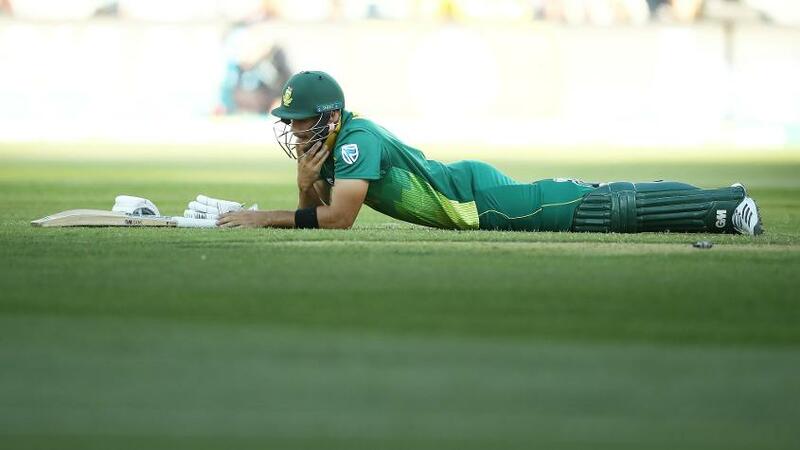 But just as the South Africans were pushing for victory, the game twisted once again when Hazlewood's short ball got big on Pretorius, who lobbed a simple catch to Lynn and was dismissed for 14. The South African tail was exposed and it couldn't handle the relentless pressure applied by the Australians.